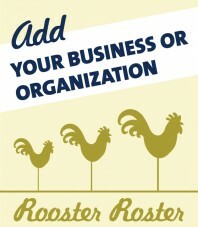 If you’re a member and interested in having your local business, service, or a community based organization that you’re passionate about listed in our Rooster Roster simply fill out and submit the online application and we’ll do the rest! Once submitted, please expect up to 4 weeks for your listing to appear on the Rooster Roster. Not a member yet but interested in becoming one? Click here to learn more about supporting Tennessee’s only food co-op!